Purchasing a property is most likely the biggest financial decision you’ve faced up to this point. 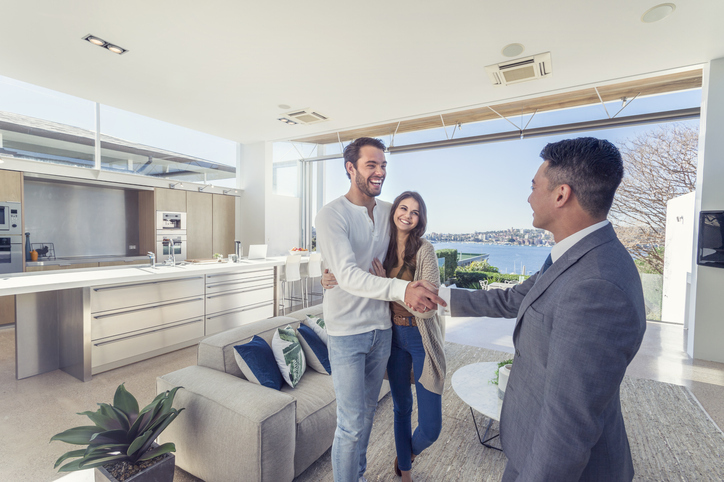 While the idea of looking for a home to call your own is certainly very exciting, it’s also important to know what you should expect. Equipping yourself with the right information before you start looking for a home ensures a smoother, more efficient process, and will help you avoid any potential roadblocks you may encounter along the way. Schedule a consultation with your realtor to discuss the actual process of buying a home. Talk to him or her about what you have in mind: what type of home you’re looking for, what features and nearby amenities you’d love to have, how soon you’d like to move in, and so on. This will help ensure that both of you are on the same page, so when you do find that dream home, you’ll be all set. Establishing the right strategy with your realtor is a great way to make the entire process easier, allowing you to make an informed purchasing decision. You should know what your financial limitations are before you start looking at homes for sale. Knowing your price range will help you avoid wasting precious time looking at homes you can’t afford. Or worse, you could end up stretching your budget by purchasing a home that’s priced at the limit of what you can afford, which often leads to financial problems down the line. Meeting with a lender can help you avoid any potential financial problems, increasing your chances of finding a home that’s perfect for both your budget and lifestyle. Look online for homes that match your requirements. Once you’ve found a home you like, ask your realtor for information on its location, or drive around the area and take note of what you like or don’t like about the area. Location is a key factor when buying a home, so it’s something you should never underestimate. Keep in mind that things like subpar paint jobs, damage roofs, or poor landscaping can always be improved, but the only to solution to living in an undesirable location is to look for another home in a better location. After you’ve searched online and explored some of the neighborhoods in the area, make a list of homes you’d like to see in person. Have your realtor accompany you when you view the homes, as he or she could discover certain issues you might otherwise miss. Remember to take plenty of photos or videos and make a list of pros and cons for each home, as remembering all the details on every home you’ve visited can be difficult when you’re closer to making a final decision. After you’ve decided on the home you’d like to buy, ask your realtor for assistance in writing a purchase offer. A purchase offer (also known as a letter of intent to purchase or a purchase agreement) is a legal document outlining the price you’re offering to pay, how you plan to pay for it, and other terms of the transaction. The seller can either accept your offer outright or negotiate on the price and other terms involved. Once you and the seller reach an agreement, you can begin the process of closing on your new home. A professional home inspection typically takes around five business days to complete. You and your agent should be present during inspection day itself, so remember to set aside a few hours during the morning or afternoon. The status on the home’s current condition, including its foundation, electrical, plumbing, and other aspects will appear in the final report, but being there in person during an inspection is still the best way to know more about the home you’re planning to buy. In case major problems show up during inspection, you also have the option to renegotiate on the home’s price and terms. Before closing on the home, you get to have one final walkthrough of the property. This will give you the opportunity to see if the seller has moved out completely, and there are no new signs of damage to the home. The home should be in the same condition as when you agreed to buy it. Expect to sign papers regarding transfer of ownership and mortgage paperwork during closing. Afterwards, you’ll be able to get the keys to your new home. Planning to buy a home in Chicago? 606 Brokers is your top resource in the Chicago real estate market! Get in touch with us today at 773-870-5101 or leave us a message here.